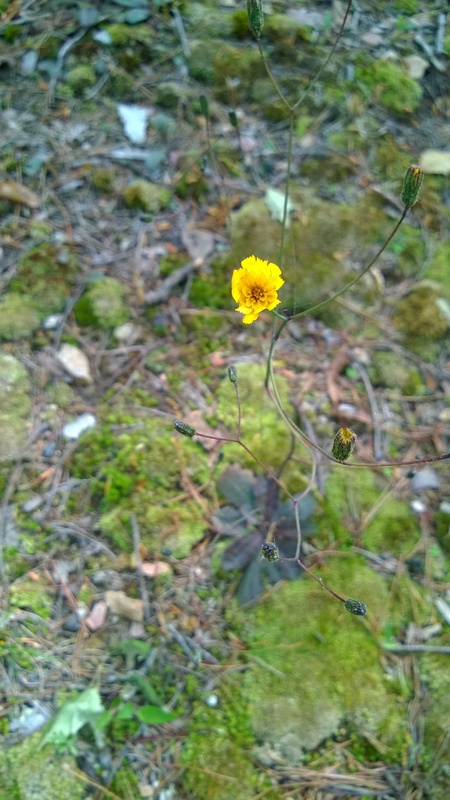 Say hello to Hawkweed or Rattlesnake Weed. Known in many circles as an invasive weed because the plant does introduce toxins into the soil that will inhibit other types of plant growth. 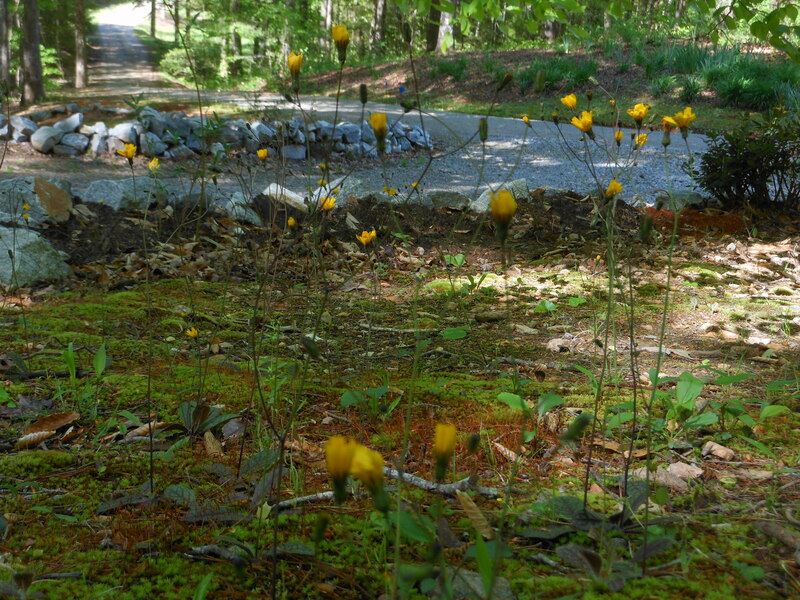 However, if you’re doing like we are, hawkweed can be used in natural wooded settings and mossy areas where you aren’t terribly concerned about grass growth. Unlike the “other” weed called rattlesnake, this plant does not produce the rattle shaped tubers, instead getting it’s name from the location where it’s found. As in – found in the same places you’d see a rattlesnake. 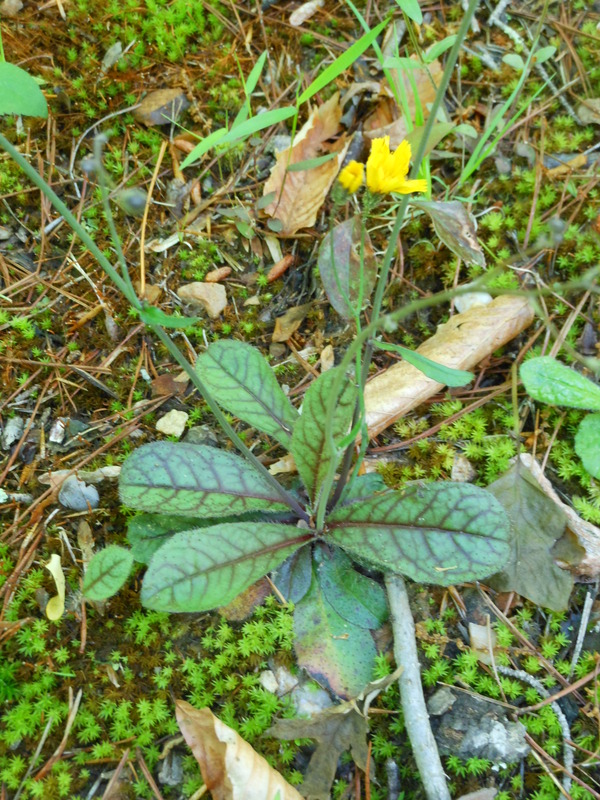 The plant is easily spotted by the flat oval leaves that are somewhat hairy and are dark muted green with either burgundy or purple veins. Although hawkweed will invade grazing lands and grassy areas, in a naturalized setting competition with other ground covering weeds for purchase is mitigated somewhat from the toxins of each species as each produces an established territory.